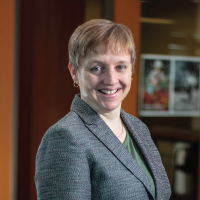 Prior to joining FPDI, Dr. van de Ligt held numerous leadership positions at Cargill, Inc. where she led interdisciplinary technical and regulatory teams tasked with assuring ingredients met appropriate nutrition, safety, and regulatory standards. In addition, she led the nutrition and regulatory strategy for a variety of novel ingredients including the regulatory strategy that allowed Truvia® tabletop sweetener to successfully launch in key international markets and expand market penetration in the US. Dr. van de Ligt completed her Ph.D. in Nutrition from the University of Kentucky.